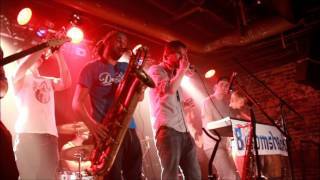 GCG takes flight with an evening of reggae, soul, funk and hip-hop at Upstairs Cabaret. 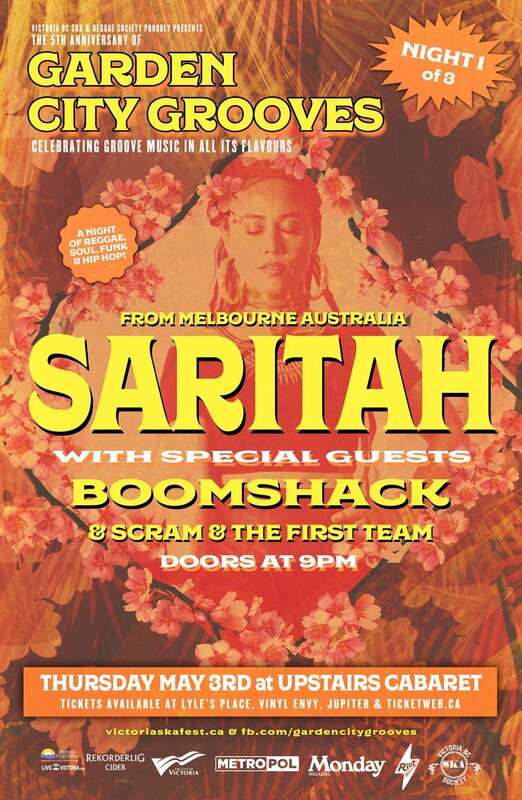 Australian singer Saritah makes her Victoria debut. 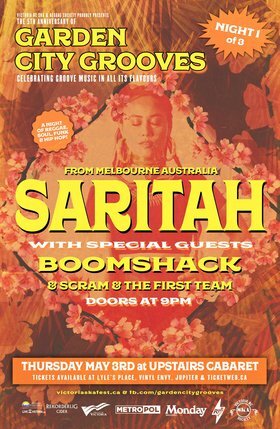 Saritah delivers a potent combination of feminine spirit, conscious lyrics and heartfelt melodies, whilst embodying a unique union of roots, reggae, soul, and dancehall. 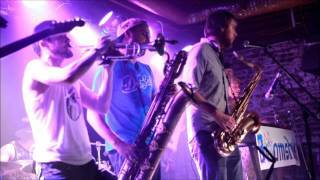 Nanaimo’s Boomshack and their energetic blend of soul, funk and reggae add some island flavour to the mix in addition to the live hip-hop stylings of Scram & The First Team that have members of The Leg Up Program and Ill and I (Alex Miller, Kady Savard, Daniela Jackson & Bobby Arson).